Gregory Kamer, the founding partner of Kamer Zucker Abbott, began his career in 1980 working for the National Labor Relations Board in Washington, D.C. Gregg served as Counsel to the General Counsel of the National Labor Relations Board for two years in Washington, D.C. and as a trial attorney for one year in Las Vegas, Nevada. Subsequently, he was Labor Counsel for the Nevada Resort Association until 1986. In 1986, he founded the law firm that is presently known as Kamer Zucker Abbott. The firm has enjoyed a reputation for excellence among judges, lawyers and the public since its founding in1986. Gregg continues to maintain the firm's high standard of excellence in all aspects of client representation as it integrates the traditional practice of labor and employment law with cutting edge technology. Gregg's practice is exclusively limited to the representation of employers in all aspects of employment law. His clients consist of public and private sector employers, including health care facilities, public agencies, construction companies, financial institutions and numerous hotels and casinos. Gregg has extensive experience negotiating collective bargaining agreements on behalf of private and public sector employers, representing employers in arbitration and mediation matters, defending employers in union organizing drives and representing employers before the National Labor Relations Board and the Nevada State Employee-Management Relations Board. From the hard fought labor negotiations and strikes on the Las Vegas Strip in 1984, the ongoing battles over appearance standards in Nevada casinos, and the developing law over tip pooling, Gregg's practice places him on the cutting edge of labor and employment law. Additionally, he has been intimately involved in Las Vegas' ever-changing business and legal landscape. Gregg has been listed in Best Lawyers® since 1989 and was named Best Lawyers' 2010 Las Vegas Labor & Employment Lawyer of the Year. Gregg has been recognized by Chambers USA every year since 2003. In 2010, Chambers noted that Gregg has been praised by clients as "'one of the most knowledgeable labor lawyers there is, and excellent on his feet.'" In prior years, Chambers has cited Gregg's reputation for being a "tough advocate," "practical," and a "good strategist and communicator" as well as his "commitment, outstanding knowledge, and brilliant mind," "phenomenal . . . negotiation skills," and his "unsurpassed ability to deal with unions.'" Gregg was recognized by the Labor Relations Institute as one of the Top One Hundred Labor Attorneys in the United States for 2008 and as Nevada's Best Attorney in Labor and Employment Law by the Nevada Business Journal's "Twelve at the Top" list in July 2006. Gregg has been selected for inclusion in Human Resource Executive's list of the Top 100 of the Nation's Most Powerful Employment Attorneys. He has also been recognized as a Super Lawyer in the Mountain States Super Lawyers magazine since 2007. In 2008, Super Lawyers also included Gregg in its "Top 75" category. 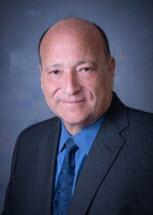 Gregg served on the Nevada Bar Attorney Disciplinary Committee from 1990-1999. From 1982 until 1991, he served as an adjunct faculty member at the University of Nevada Las Vegas and at the University of Nevada, Reno from 1991 until 2000. He is a frequent guest speaker at university lectures, management training programs and labor and employment seminars. He has been a Master of the America Inn of Court since 1995. From 2006 to 2010, he served on the Board of Governors of the State Bar of Nevada. In 2008, Gregg was chosen to serve on the Nevada Supreme Court Commission to Amend the Nevada Code of Judicial Conduct. Gregg also serves as a Mediator, including on the American Arbitration Association's Panel of Mediators from 1992 to the present. Gregg lives in Henderson, Nevada with his wife, Helen, and their boisterous pack of rescue dogs and cats. He spends his free time enjoying chess, books, music, movies, and art.